PhD scholarship recipient Lincoln Dam hopes the philosophical work he does on biculturalism and multiculturalism will help him land an academic position here or overseas. “Upon completing a Bachelor of Arts (Honours), I received a University of Auckland Doctoral Scholarship and enrolled in the PhD in Education. 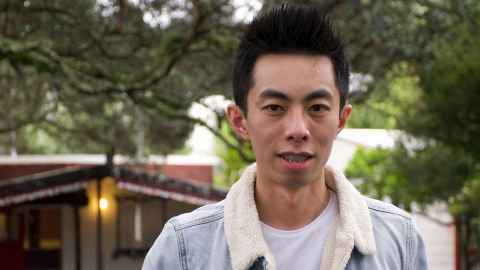 “I chose to study at the University of Auckland because of its standing as the highest ranked university in New Zealand’s and a leading university in Education internationally. I hope the philosophical work I do on biculturalism and multiculturalism through my doctoral study will open up opportunities for me to secure an academic position in New Zealand or overseas. “All of the postgraduate courses I enrolled in for my Honours degree were offered by Te Puna Wānanga, the School of Māori and Indigenous Education. I particularly enjoyed Research Methods in Māori Education – taught by Dr Mera Lee-Penehira and Professor Alison Jones – and discussions in that course around the ethics and politics of non-Māori engagements with mātauranga Māori (Māori knowledge). These discussions provided me with the confidence and necessary knowledge to take the risk of engaging with mātauranga Māori as a non-Māori writer-thinker. “Now, as a lecturer and tutor at Te Puna Wānanga, I enjoy being involved in the planning and delivery of courses – both undergraduate and postgraduate – that I had once studied as a student.